This week the Jurgis ir Drakonas owners, Tom Nicholson and TV cook Beata Nicholson opened their 2nd pizza concept, BROOKLYN BROTHERS. 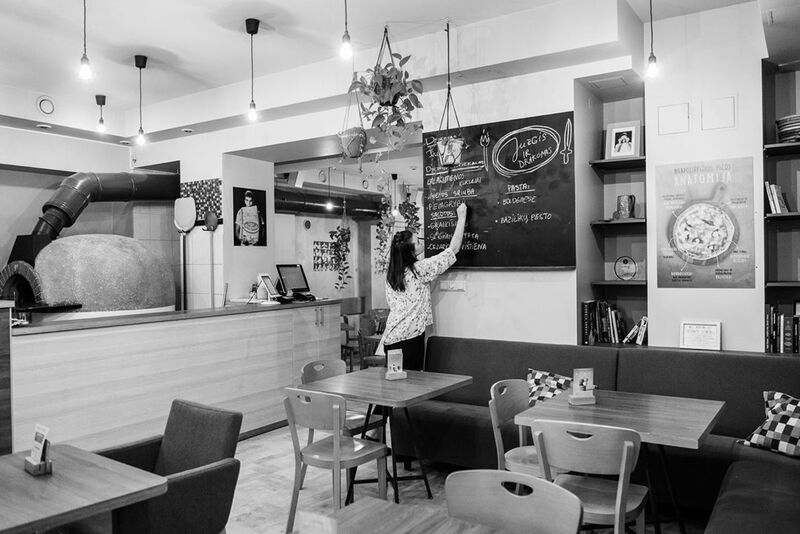 Serving South Brooklyn style pizza and slices, from a dine-in and takeaway focused location in Ogmios Miestas, Vilnius. 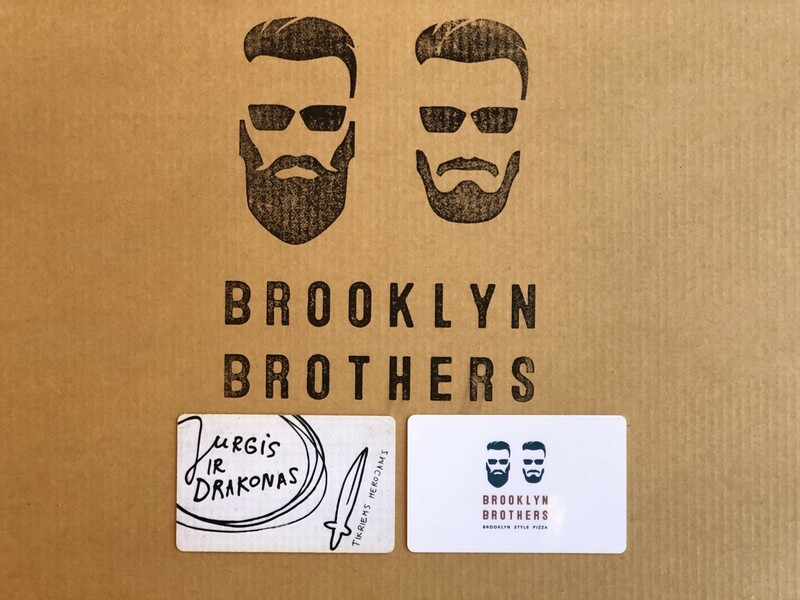 Jurgis ir Drakonas discount card holders can enjoy the same benefits in BROOKLYN BROTHERS, taking advantage of their discounts or spending any credit they may have. Who is Jurgis? And who is the dragon? Jurgis is my son. Also, saint George is patron of England so this name has many meanings for us. And the dragon is the oven. We have these beautiful ovens in all of our restaurants and they breathe smoke and fire and get extremely hot. 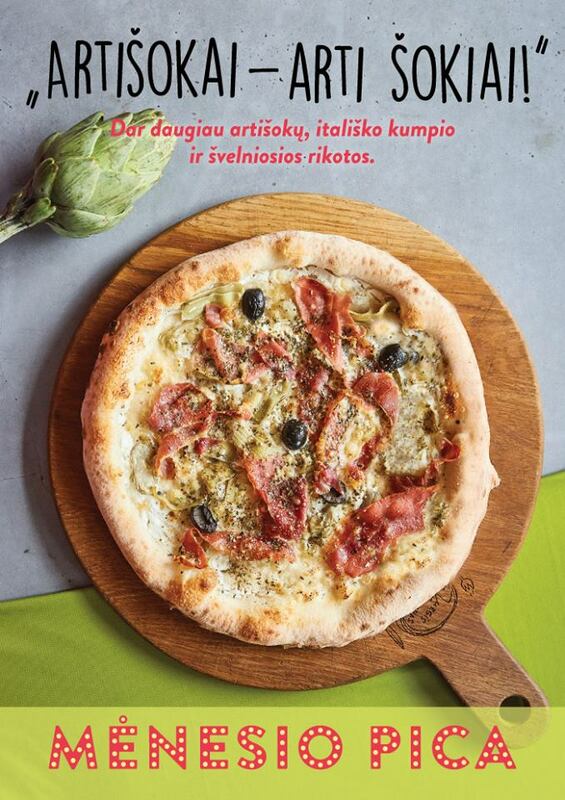 What do you think about pizza culture in Lithuania? And how did it evolve since you came? 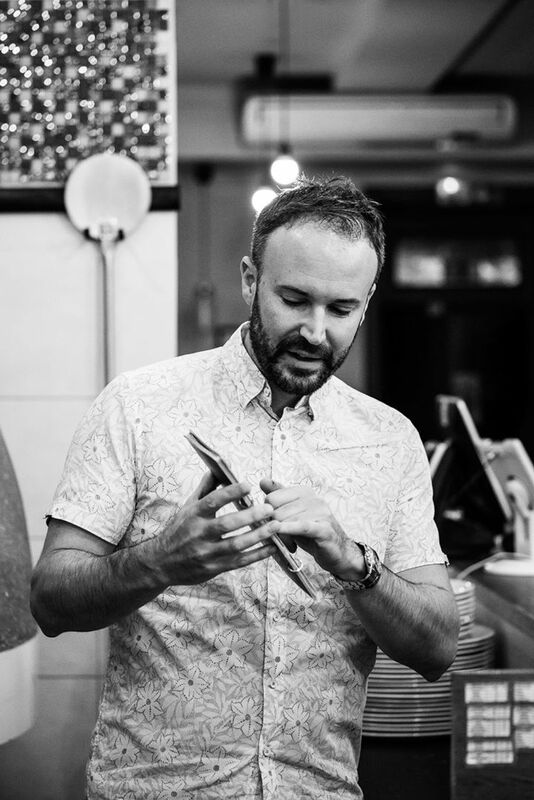 I’m excited to be part of the pizza culture and that it is changing so quickly. During four years I’ve been living in Lithuania it’s moved on a lot. People are much more focused on quality, people are trying new styles. Previously pizza was very boring in Lithuania but now there is really interesting, new and good stuff going on. And it is great to be a part of that ourselves. Who is behind the recipes in your restaurants? Besides pizza, we have very busy lunch menu: soup, salad and day lunch. My wife is predominantly responsible for creating new recipes for those. Lunch customers, obviously, want to try new things every time they come. We have a lot of loyal customers, who would come several times a week, so we’re trying to offer them various dishes. So my wife looks after that side of things and I look after the pizza side of things. 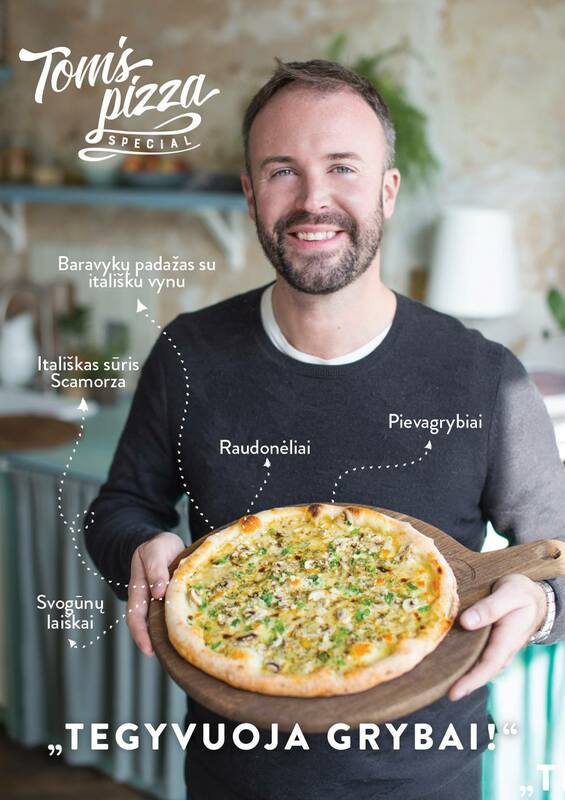 I’m constantly talking to pizza aficionados in the US and UK and in Italy as well and we are sharing our ideas and looking at new trends and, you know, bringing them to Lithuania. And how do people react to the pizzas you offer? Do they just know what they want or do they need some guidance here and there? I think our menu is quite diverse; we have got 22-23 different pizzas on the menu. On the one hand, we offer traditional ones, the ones that you can find in Napoli: the Margarita or the Marinara. But we go very very gourmet as well, with lots of distinct flavours. We do a lot of home made cooking in each of our restaurants. So we guide people to what they should be drinking with that. Any pizza and beer is good, but it is so much better if you choose the right style of beer to go with that pizza – it really improves the meal. And do you add Lithuanian twists to your pizza or you don’t do that at all – with Lithuanian ingredients or something like that? Yeah, I mean we do cater for the Lithuanian market. We are very proud to be international and to be authentic. 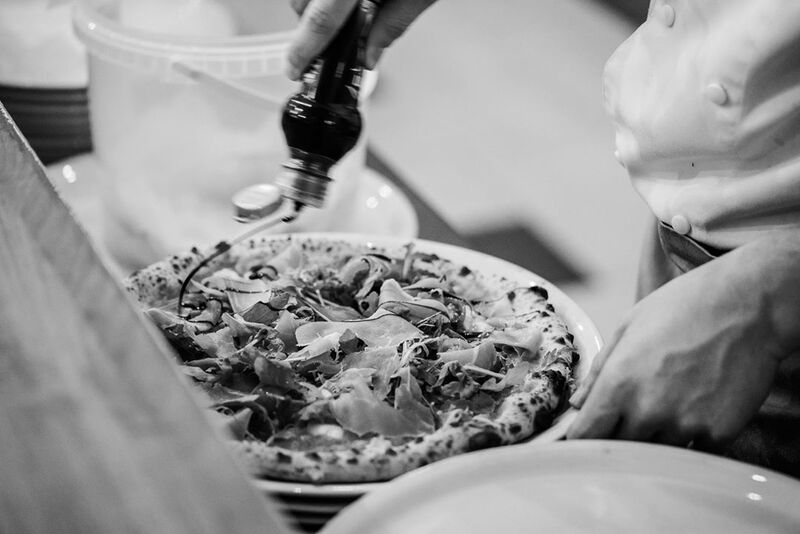 There are always domestic flavours, that we bring to the pizza – so we bring in dills and beet roots. Have you always been a pizza lover? Absolutely. I have loved pizza for as long as I know. But my love for pizza has grown since I started my business. I’m thinking about pizza all the time and I’m eating a lot of pizza. I often travel away to gain inspiration and pizza is a very big part of my life. And where was the best pizza that you’ve eaten? I just came back from New York and people go crazy for pizza in New York. And it’s very distinct: they have a very clear idea what is New York style pizza and they are in front of trends that are going on. Americans are very passionate about food so there is a lot that we can learn from them. 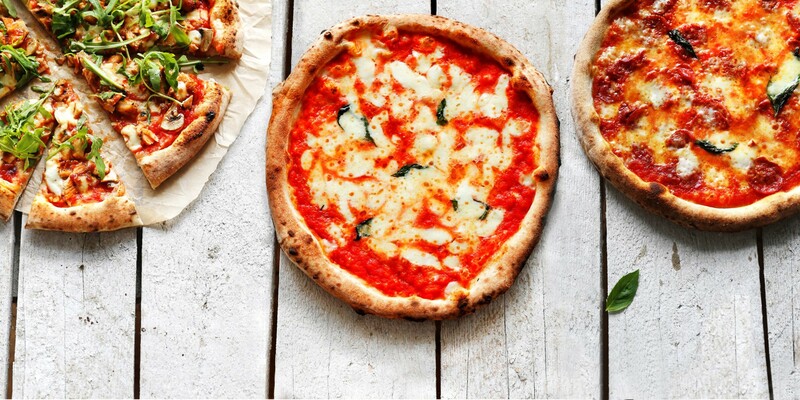 Italy is considered the perfect place for pizza. And they are so traditional. They are so keen to keep hold of their authenticity and their traditional recipes. So they don’t really experiment. And for them it is doing what they have done for the past couple of hundred years. 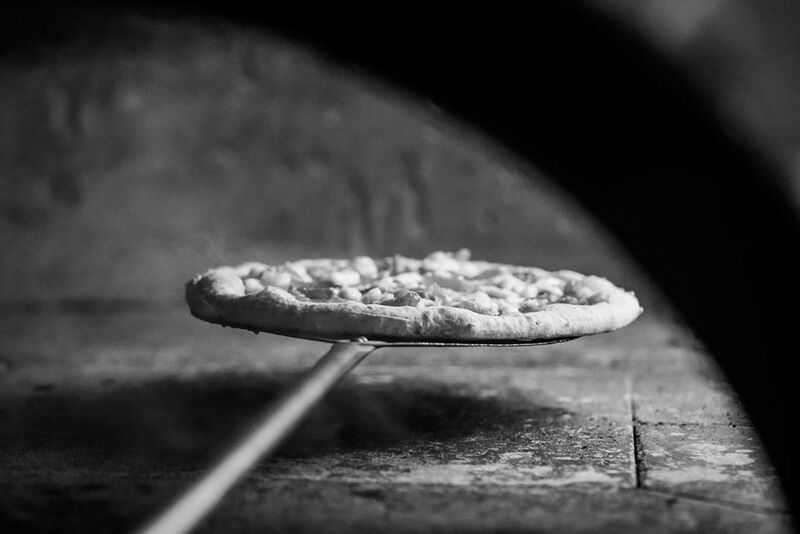 For what as we prefer to take that and move forward with it, really, and we want to be sort of flying the flag for Lithuanian pizza on the international scene. Is it true that all your ingredients come from Italy? Most of the key ingredients come from Italy – it’s really important that we use Italian double zero flour. We couldn’t make our recipe without that. The tomatoes come from the hills from the Vesuvius volcano and you can really taste the sunshine. Most of the meats come from Italy: the cured sausages, that kind of stuff. On the other hand, we are making a lot of stuff home made, combining local ingredients with international ingredients and bringing our own, unique signature to our restaurant. 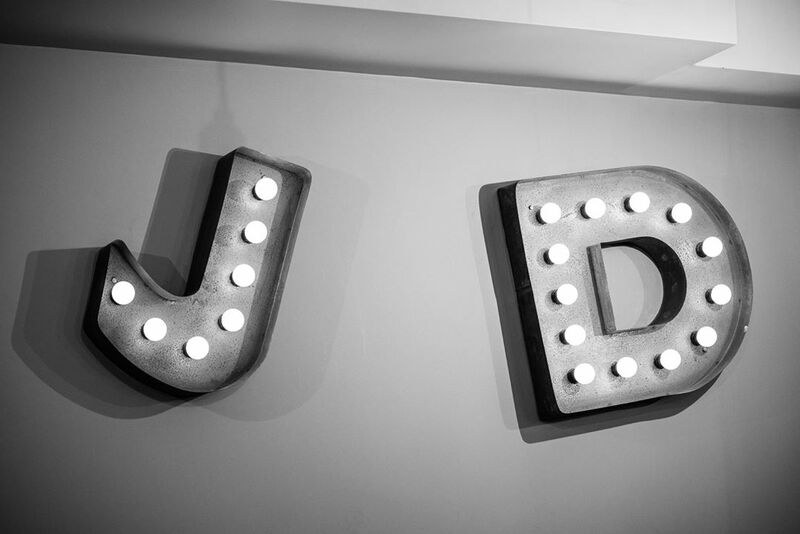 So, hopefully, when you come to JD, you are getting a unique taste. How long does it take to learn how to cook Italian pizzas? You can learn how to cook in days, but, really, it takes the whole lifetime to perfect. So in particular I’m always learning, I’m always learning new techniques, always reading and researching and traveling and meeting new people. So it is really important to understand that it’s a journey that really doesn’t have an end. You are always learning. And we invest a lot of time and effort, and money into training our staff here, because we do things differently, we have ovens with real flames with very high temperature, we are doing fairly unique style of pizza, we do need to invest in our staff to be sure that they do what we need them to do. Is there a person that you would consider as your mentor? I have a couple of gurus. Over in America I have a friend Derek Sanches, he had a similar journey to me. The fact that he has a pizzeria, which is named after his children – it’s similar to me. He’s a doctor by trade so actually he is more of a scientist so he is looking at yeast under the microscope, and doing the scientific aspects of it and I really like that. There is another American guy, in New York, called Scot Wiener, he is in the Guinness book of World Records, for large number of pizza boxes. And he’s a pizza freak. He loves pizzas, he’s making a living making pizza tours to the pizzerias in New York and he’s a real inspiration for his energy. There is a number of key people that I have around the world who bring this international pizza aficionados community. 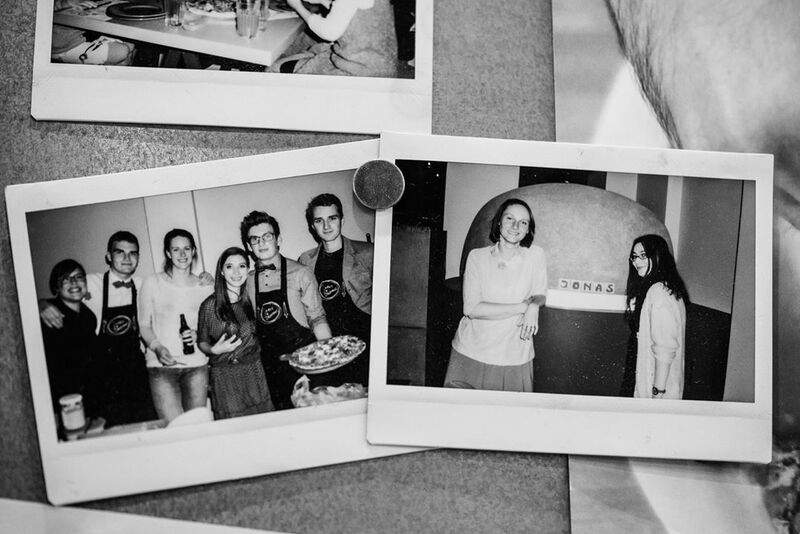 And speaking of your staff – is it hard to find people who would love pizza as much as you do? 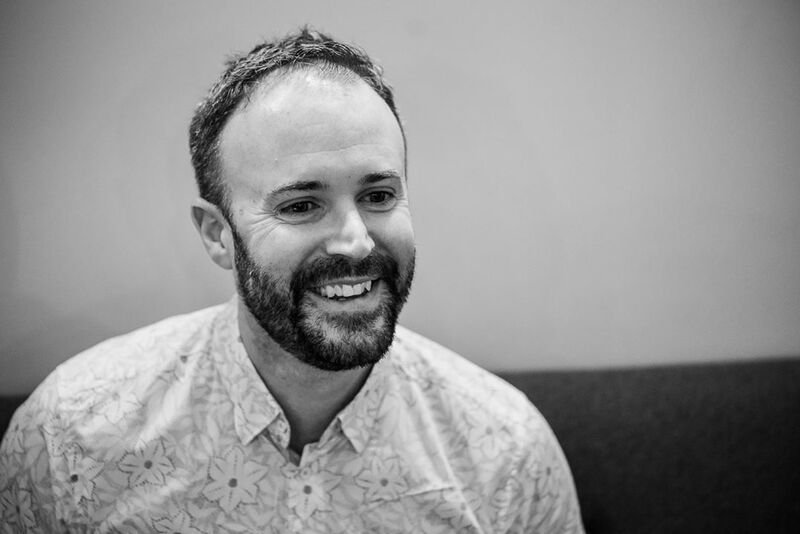 It is hard – we often recruit people with little or no experience of catering, because we prefer to find people who share common ideas and then we teach them the way that we want to. And then sometimes, when people come with previous catering experience, they are already with blinkers on their eyes. They are bringing their history to the restaurant and we don’t want that. Predominantly our staff is young and enthusiastic about pizza. Pizza goes well with a beer – what kind of beer do you serve in your restaurants? We have quite long list of beers and we can recommend a different beer for each one of our pizzas on our menu. The list is a mixture of local Lithuanian beers and imported beers. There are many different styles. The great thing about beer is so many different flavours and so many different complexities. And the list is always changing and evolving as the menu changes and the beer range in Lithuania changes. 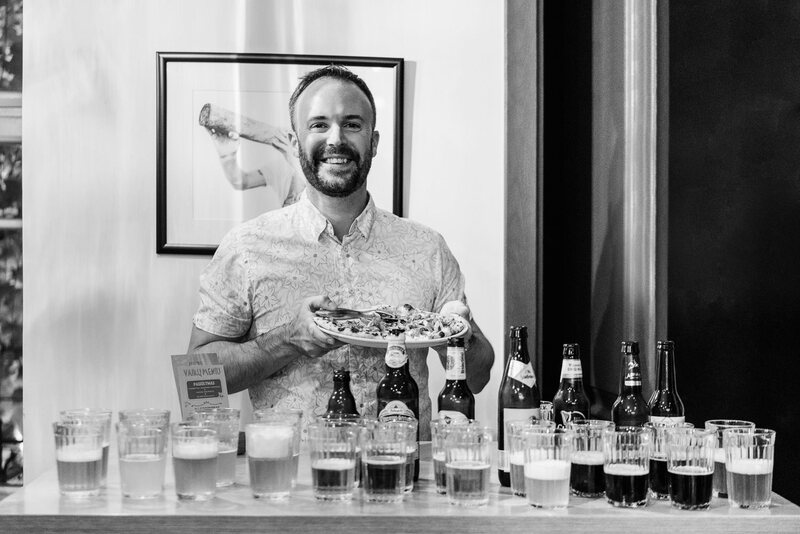 But something that I’m very passionate about is – by suggesting beer with a pizza, we really can improve your meal and we’ve been doing this for some time now and it has very good feedback. And did you do this pairing menu yourself? Absolutely. I took part in that and took responsibility for that personally. It was a long journey. Because I’ve tried hundreds of beers to get to this list and that can take some time. So there was a lot of work, a lot of energy. Tonight, I’m actually having another session – we are bringing in blueberry and chipotle pizza to our new menu, so that needs to have a beer. Are you a fan of Lithuanian beer? 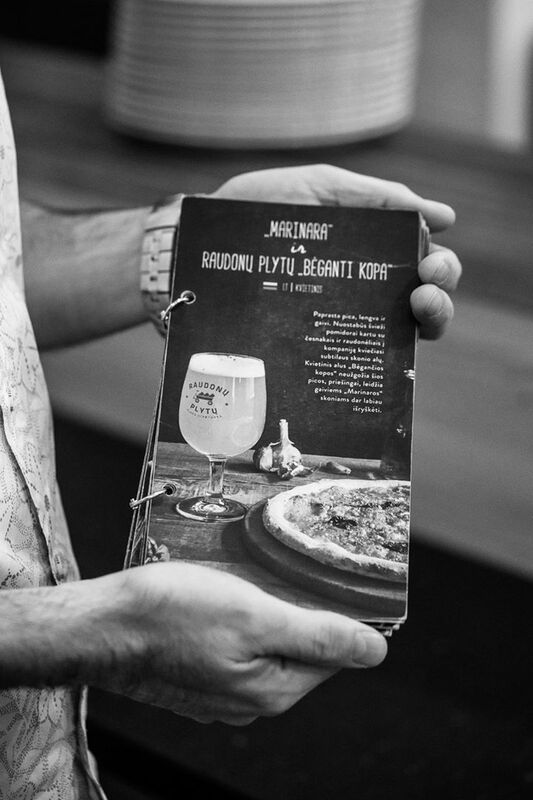 I think that Lithuanian beer scene is a bit like pizza scene: it is changing and evolving. People are looking for new tastes and really concentrating more on the quality than they did before. So in that perspective pizza and beer are very similar. So I’m glad that beer scene is improving in Lithuania and it is exciting to watch. Do you remember the first time you’ve discovered Lithuanian beer? I think that like most foreigners the first beer that I was introduced to was Švyturys EKSTRA. Then, I remember, few years later there was wheat beers and unfiltered beers became much more popular, so that was pretty interesting for me because that wasn’t really going on back in the UK. So I’ve always been a part of Lithuanian beer for the past 15 years. But now there is much more choice, much more interesting beer. What kind or type of beer would be J&D? First of all, for sure it’s going to be an ale. Because are authentic restaurant, so we wouldn’t be a lager. I think that would be a light ale, an international one. I’m international, we bring our international influences, and we are serving relatively international menu. It’s going to be a young beer, because we are all about freshness, our pizzas are cooking for a minute and a half, salads are super tasty, so freshness is a big part of what we do. We wouldn’t be anything that would scare people like stout or like porter. It needs to be a beer that everyone could enjoy. So I figured that it’s probably American Pale Ale. It’s one of mine favorite styles and it kind of represents a lot of our values. Have you tried to brew some beer for yourself? What kind or type of beer would you brew firstly? Yep. I just started this year, actually. I’ve watched some home brewer friends for a couple of years and I wanted to get involved so I started making IPA’s. IPA’s is one of my favorite styles. For me – I’m interested in lower alcohol ones, so I’m trying to keep alcohol percentages low, 4-4,5%, which, for IPA’s is quite low. And success has been great. I love the different flavours that you can get with the hops, I loved to be able to drink it young – two weeks in the bottle and it’s ready to drink. I think that a lot of water that is in Lithuania is very good, so that really helps, and I can get all of the ingredients that I want. And there is a network of home brewers that I can connect to, and I really enjoyed getting involved in that. It’s something that I want to continue with. Actually, I find making beer very therapeutic, it does take some time and it’s quite a slow process, especially on a brewer day. But I really enjoy that process. Beata doesn’t even mind it too. I love that sensation, that beautiful aroma, filling the house from the top to bottom. We’ve heard something about the new place that you are planning to open. Can you tell us more about that? With JD there were some things, which we don’t do. For example – we don’t do delivery. We don’t do family size pizzas and there is a lot of people who are always asking us for those. Also, Napoli pizza is really best when it is fresh out of the oven, after some time, the quality does go down. So I wanted to fix all of those things. I travelled to New York, earlier this summer, and went to pizza school (I also did that in Napoli) and I really figured out in the last couple of months how to make amazing New York style pizza. It’s perfect for take away, because the quality stays for quite some time after it comes out of the oven. It can be reheated easily and the quality is still very very good. It is a different dough, it’s a different technique, we are going to be using a different oven. We kind of wanted to bring this American theme to Lithuania, so we are calling it Brooklyn Brothers. It should be open in the beginning of November. We gonna have delivery service – we do a lot of take away from JD restaurants, but now it is going to be more convenient. It is a really exciting project for me, I’m busy researching new ingredients and for most fantastic products. And I am really excited about it all. What about beer choice in this restaurant? Well, there was only one beer choice from the beginning and that was Brooklyn Beer, I’m a really big fan of Brooklyn lager and other styles. While I was in New York, I visited the brewery, and I saw the vibe and the buzz around that place – people were lining up out the door to visit it and the whole Brooklyn is just alive, at the forefront of the pizza scene. People are just going crazy for pizza in Brooklyn, there are slice shops and people are lining out the door for an hour to have one slice. There is a real atmosphere there in Brooklyn. So, yeah, I really want to bring that to Lithuania. So, Brooklyn Brothers are just the start of that. There will be big, a little bit crispy slices, quality ingredients, the dough will be aged for three days, so it is going to be full of flavour – it is going to be good! Tom has created the new special pizza for all autumn season – MUSHROOM LOVER! This pizza is super creamy and full of flavour – amazing mushroom, Italian wine and parmigiano sauce, Italian soft cheese Scamorza, mushrooms, green onions, oregano and parmigiano. If you’ve already tried all of JD pizza, try this one! We are starting summer with a new pizza of the month – with lots of artichokes, Italian ham and beautiful super tender ricotta! JD Akropolis is inviting you to join us for a very special ”Picnic in Sweden”! 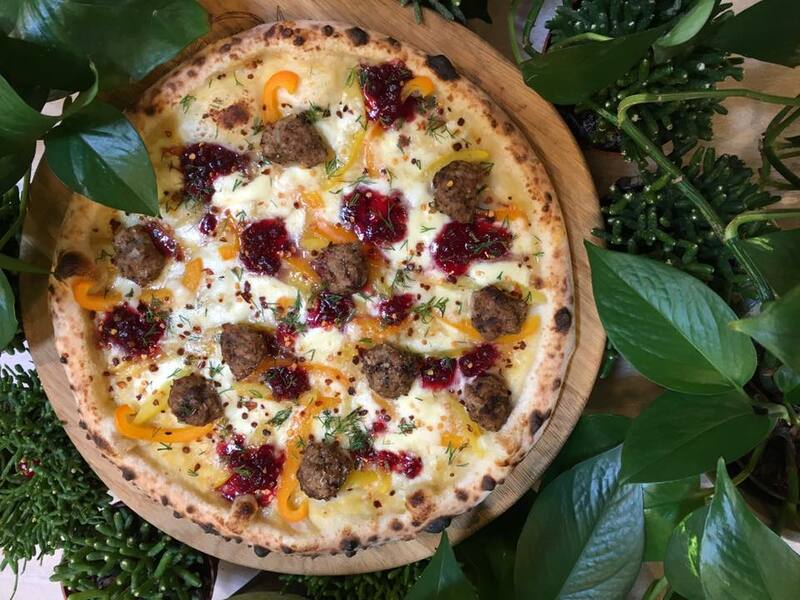 In our basket we have a brand new pizza with some juicy meatballs, yellow tomato sauce, al well as Sweden’s beloved cranberry sauce and a little bit of spiciness. Are you already excited to try it? Ok! So visit us in JD Akropolis! Jurgis ir drakonas now has a sophisticated online ordering system and mobile app. 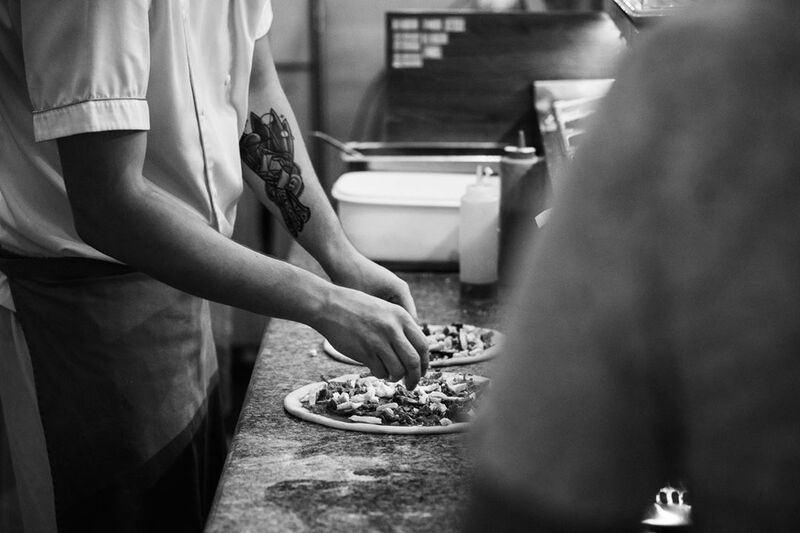 You can find our whole takeaway menu and have the ability to customise your pizza just the way you like it. Customers using the online ordering system or mobile food ordering app can benefit from great offers and exclusive discounts. The mobile app is available for iOs or Android devices. Currently our food can be ordered for collection only. You can order from any of our restaurants in Vilnius or Kaunas.